You finally made the jump and ordered your very own glass accent piece from CBD Glass. It took months of budgeting and planning, but the team recently came by and installed the glass item. You couldn’t be happier with it. You think the appearance and value of your home just shot right up. Now you want to keep the glass accent piece in the pristine condition it came in. 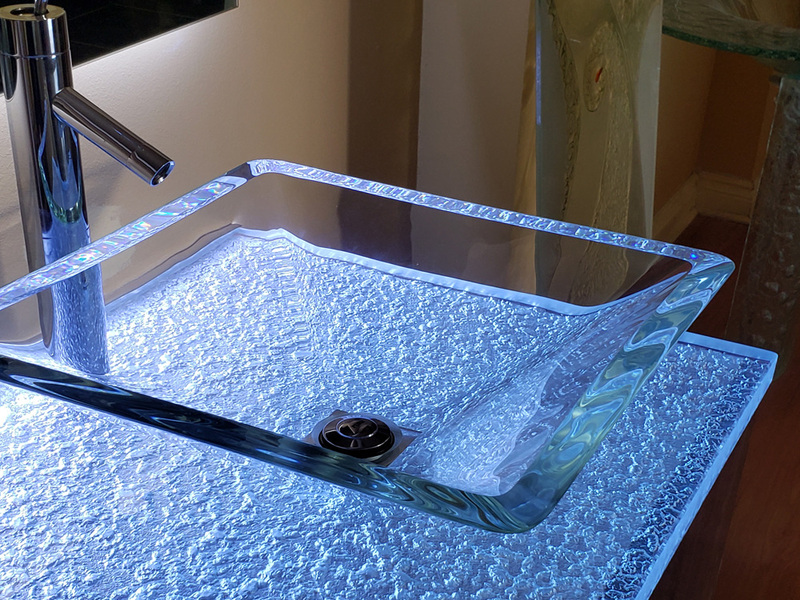 Be it countertops, glass railings, partitions, sinks, glass doors, or a glass backsplash, how can you go about maintaining your item so it looks as good as the day it was installed? We’re glad you asked. Here are some of our favorite maintenance tips for your glass accent items from CBD, be it one of the above or something else entirely. After all, here are CBD, we have a pretty big portfolio of projects! In the case of glass doors or frameless shower doors, if there’s even a single fingerprint on the glass, it’s unfortunately going to be very noticeable. The best way you can prevent fingerprints is to avoid touching the glass surface directly. If it’s a glass door, then use just the handle when going in and out of the room. If it’s a shower door or glass railings, again, rely on the handle instead of touching anything else. If you have children especially, then it’s worth taking the time to instruct them on proper use of the glass item. 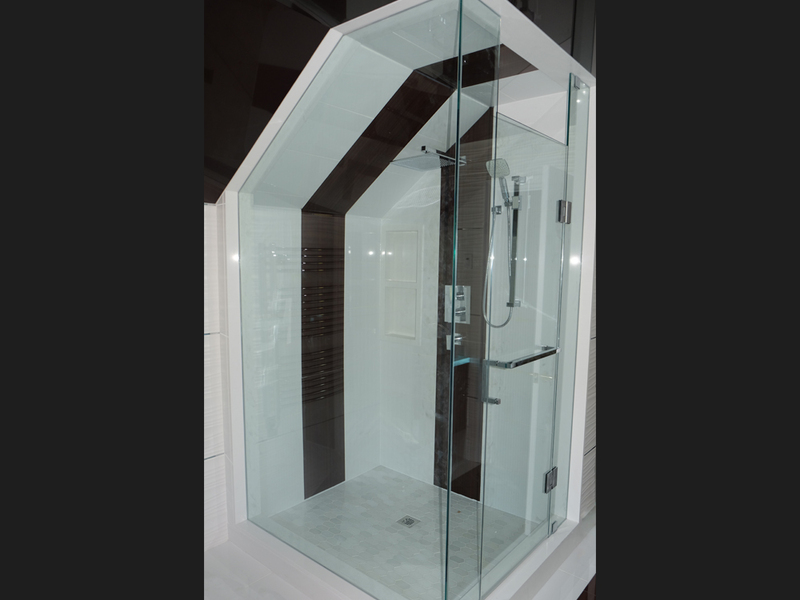 Regarding frameless shower doors, glass doors, or glass railings, as mentioned above, you’d show them how to hold the handle and nothing else. If it’s a glass entertainment center or a new glass countertop or kitchen island, then teach them how to place cups and plates down without chipping or damaging the glass. While the glass we use for our projects at CBD Glass is thick and durable, it’s not impervious to user damage. 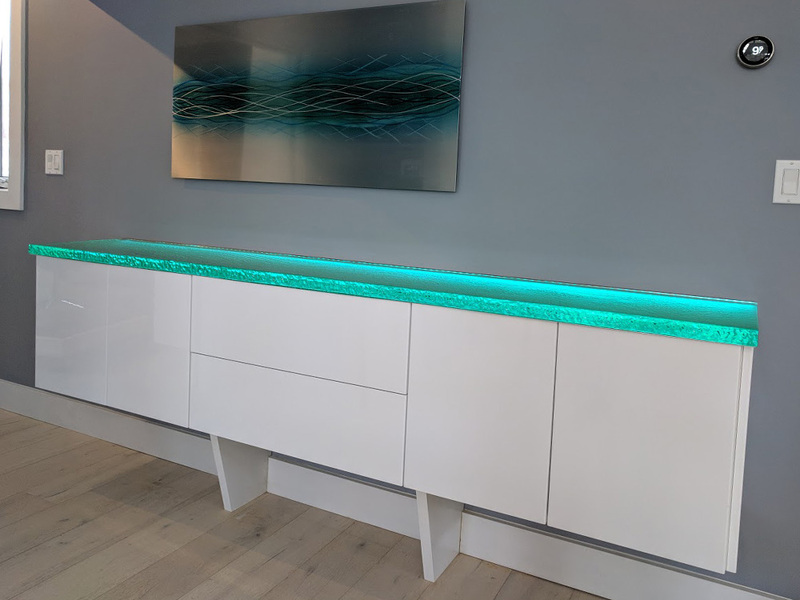 You must be gentle with any and all glass items you order from us or they risk cracking or breaking. That means not slamming glass doors, avoiding heavy-duty prep on countertops and sinks, and not stacking too much weight on glass bricks. By treating your glass accent items well, they’ll treat you well in return. Not only will your item look stunning for years, but its quality will hold up very well. Finally, we advise you to get into a regular cleaning habit. There’s no need to run to the store and buy a specialized cleaner for your glass accent item. Soap and water will do just fine. That said, we do advise you to use a soft cloth only. This will prevent scratches on the delicate glass surface whether yours is textured or not. Wiping down glass can remove fingerprints (if they accumulate), crumbs and other food debris, and surface stains and messes. You’ll also prevent a buildup of dust, which can detract from the look of your glass accent item. Good luck and we wish you many happy years with your new glass piece!